Simply chill in freezer and apply. Easy Storage. Safe. Good sizefit. Relieve pain and swelling. Emergency. Following Surgery. 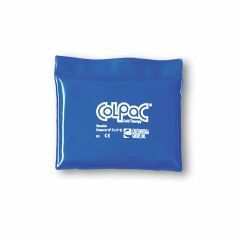 Colpac is the best brand to buy. Don't buy another brand because it is cheaper, they don't work well like Colpac does. Colpac stays colder and feels colder longer. I have four different sizes in my freezer ready to go when I need them.